This one is freshly-finished and ready for deliver at G3 in Vegas. 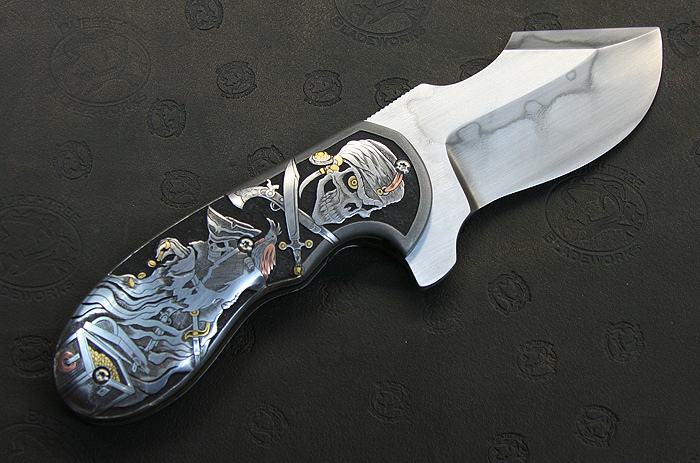 Jody Muller is a prominant knifemaker and engraver based out of the deep woods of Missouri and on occasion we like to do collabs. 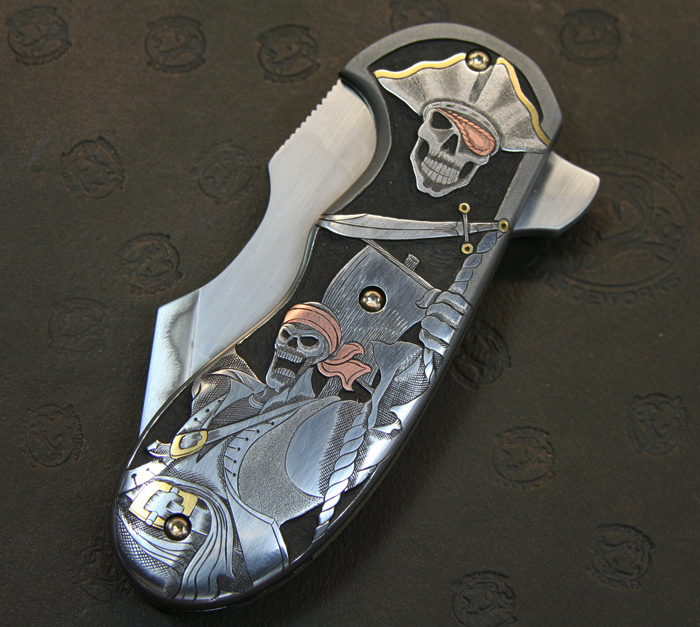 This is the fourth piece and features a pirate theme with gold and bronze inlays and a IKBS flipper blade out of 1095. This is the 4th collaboration between Jody Muller and myself.